Pythia announced for Muses Of Metal Festival! 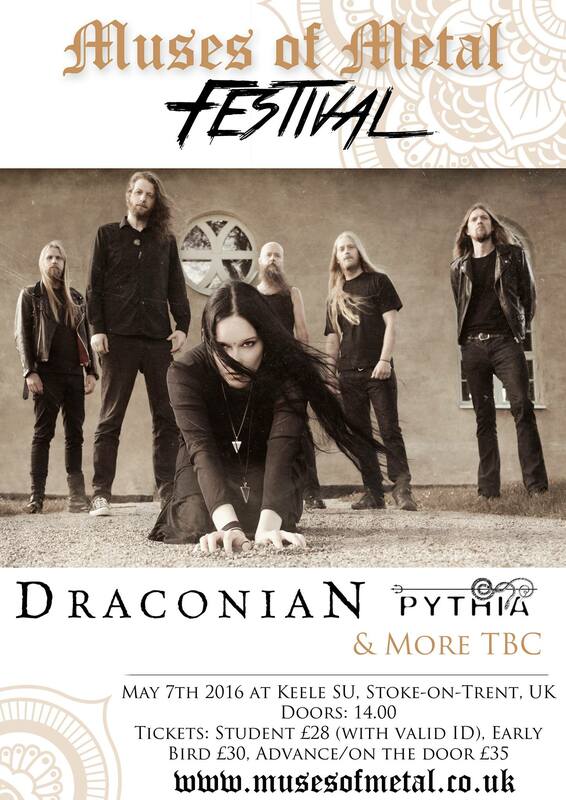 We are proud to announce that joining Draconian at Muses Of Metal Festival will be London-based, leading British symphonic power metal warriors: Pythia, with the addition of the new vocalist Sophie Dorman who joined the band's ranks in 2015. The band's latest album Shadows Of A Broken Past was in released in December, 2014 to much critical acclaim. Amongst Draconian and Pythia, the festival will host a line up including some international surprises and a few more home 'grown' gems. A new act appearing at the festival will continue to be announced every one to two weeks.